Oxana Garanina is a Senior Lecturer in HRM and Organisational Behaviour in Business School at the University of Buckingham, UK. She holds a PhD in Occupational Psychology from Moscow State University, Russia, Masters in Strategic HRM and Industrial Relationships from the University of Gothenburg, Sweden, and a Bachelor degree in Psychology from North-Eastern State University, Russia. At the moment, she is working towards her second doctoral degree in Business and Management at Oxford Brookes University, UK. The main focus of her current research is on the role of employee volunteers in building partner relationships between businesses and communities across the UK. She has substantial experience in both teaching in higher education and consulting in the field of personnel learning and development. 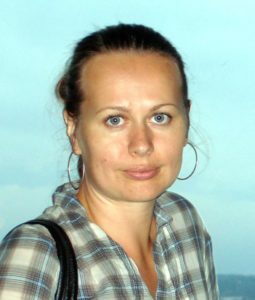 Oxana has been teaching at undergraduate, postgraduate and post-experience levels.